Gujarat Government Information Department is publishing Gujarat Rozgaar Samchar E-paper on every Wednesday on Its official site. 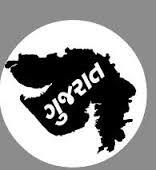 Gujarat Rozgaar Samchar E-paper is very useful for those candidates who are looking for government jobs. The Information Department plays a significant role in communicating pro-people schemes of the State Government to all the sections of the society. The department acts as a two-way communication bridge between the Government and people, as it effectively transmits information of Governments welfare schemes and programmes to people and acquaints thebeneficiaries about it, and at the same time communicates the common mans feedback to the Government.